As mentioned, NYC rapper Kilo Kish will be opening for SBTRKT at Terminal 5 on Thursday (10/11) with Koreless and Nick Hook (tickets). But you’ll also have a couple chances to catch her in smaller venues about a week after that during CMJ. She’s playing the Yours Tru.ly.Gorilla vs Bear (YTGvB) and Forest Family showcase at Brooklyn’s 285 Kent on October 18 with DIANA (whose members include Destroyer saxophonist Joseph Shabason), Sam Flax (who we just profiled), Atlanta rapper ForteBowie, Ryan Hemsworth, Flume, TOPS, and Empress Of. Evy Jane, who plays live at Glasslands the next day (10/19) (another Yours Truly party), DJs in between sets. The flier for that show is below. Kilo also plays the previously mentioned Life or Death CMJ showcase on October 20 at 92YTribeca with Hilly Eye, Dogbite, Twerps, Slug Guts, Jozef Van Wissem, Mac DeMarco, Maria Minerva, Sky Ferreira, and two special guests. Tickets for that show are on sale or you can try to get in with your CMJ badge. 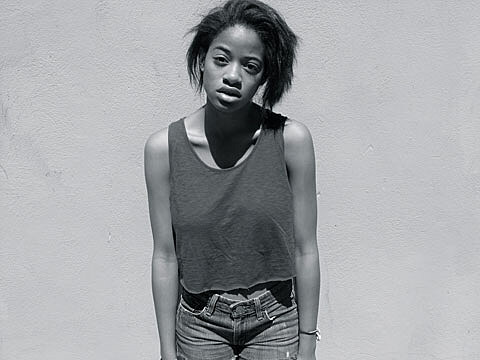 Kilo Kish is set to release a new single for her song “Navy,” which was produced by Odd Future’s The Internet (who Kilo toured with over the summer) on 12″ vinyl this week (10/8) via The Blue Rider. It out now digitally and comes with a remix by MeLo-X on the b-side. You can watch the video for “Navy,” and check out a list of all known Kilo Kish dates (more TBA), below.